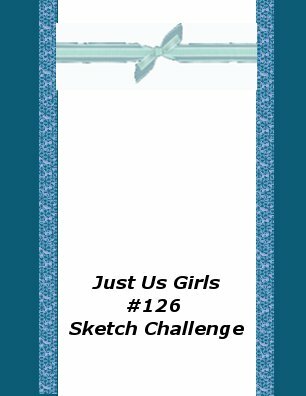 Just Us Girls #126 - Sketch | Work in Progress. 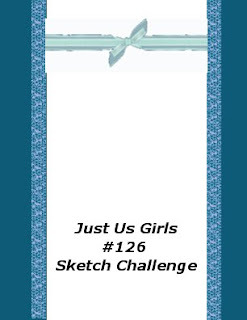 Time to get sketchy with Just Us Girls! This fabulous sketch was brought to us by our sweet, talented Lynn. I decided to try my hand at spritzing. I used of my few Glimmer Mists to spritz the card stock - it wasn't quite as splotchy as I'd like but, hey, if I'd wanted it finer, it would have come out splotchy ;) I die cut a larger butterfly and stamped it with Mehendi Medallion then placed a smaller butterfly on top. We have a new, very talented guest DT for March!!!! Please help me welcome Marisa from Rosemary Reflections! Welcome Rosemary!!! We are so glad to have you share your incredible talents with us this month! Posted in blue, butterflies, cream, JUGS DT, yellow . Bookmark the permalink. RSS feed for this post.